Those of you who follow me on Instagram know I’ve been wandering all over the planet for the past year or so on sort of a grown-up gap year. I’ve had the opportunity to do a ridiculous amount of travel. Seriously ridiculous. Overseas stops included London, Vienna, Budapest, Bratislava, South Africa, Australia, New Zealand, and the Caribbean. Here in the States, I’ve wandered through Milwaukee, Chicago, Oregon, Baltimore, Detroit, Miami, Naples, New York City, and upstate New York. It feels as though I’ve been away more than I’ve been home. I’m not gonna lie, it feels completely bratty to have had these opportunities. I often find myself apologizing for my incredible good fortune. I’m fully aware I’m crazy blessed, and this travel has been a dream come true. My style of travel has evolved over the years. Once upon a time, I felt a need to visit the “Top 10” sights wherever I went - museums, palaces, monuments. Whatever the guidebook said, I dutifully checked it off the list. But after a half a century of wandering around the globe, I’ve tossed out the guidebooks upon the realization that I’m happiest when I’m exploring the culinary traditions of a destination. In South Africa, I was utterly fascinated by Capetown’s Kitchen Gardens and Oranjezicht City Farm Market. In Vienna, I must have stopped into a dozen Viennese coffee houses and bakeries and feasted on schnitzel and spaetzle. In Miami, I couldn’t wait to head to the Cuban neighborhood to dive into a plate of ropas viejas. I do adore a good museum, and you’ll find me wandering a city for hours just letting the character of the place soak into my soul. If I’m not in a city, you’ll find me on a hiking or biking trail. But exploring a destination through food gives me an intro to a culture in real time - a connection to the humans who make the food everyday. Seems to me food purveyors tend to be generous by nature - not only with their food but with their time and stories as well. I’ve been taking notes for months, plotting to share the delicious things I’ve enjoyed on this blog. I’ve decided to dive into a February blogging binge - finally posting some of my finds, as I’m (mostly) home this month. Today we’ll start in sun-drenched, food-obsessed, fabulous Melbourne, Australia. 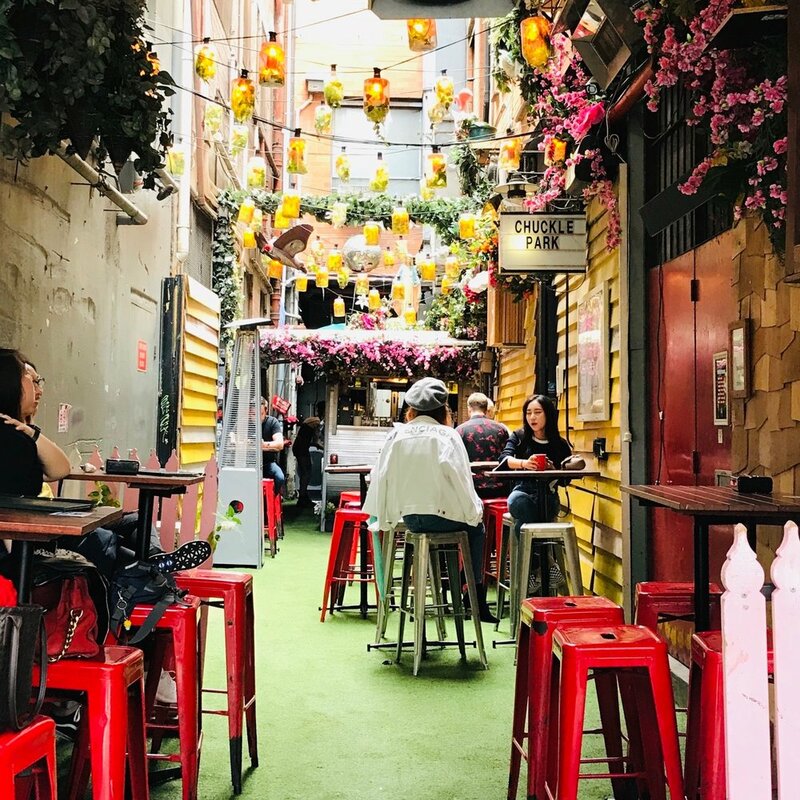 I spent days in October roaming around Melbourne with my dear friend/tour guide extraordinaire Fiona, popping into countless food emporiums and coffee shops and cafes, sampling a terrifying amount of coffee. I ordered “piccolos” (tiny espressos with milk) until I ended up a bit shaky, and I sampled my weight in baked goods, calories be damned. I did also occasionally sample salads and pastas and tapas and toasties (translation: grilled cheese sandwiches). And then I drank more coffee. I’ve never experienced such a coffee-obsessed culture. I didn’t want to come home. As I’m a gal who loves a good cookie, I was particularly intrigued by the Aussie takes on cookies (or biscuits as they are known). The Afghan is a chocolate-frosted, walnut-topped chocolate butter cookie with a crunch of cornflakes. They are displayed in coffee shops everywhere. Turns out it’s actually a Kiwi creation, a favorite of generations of New Zealanders, though no one can quite agree why it’s called an Afghan. It’s a super-simple cookie, so it was among the first things I set about to recreate at home. Seemed like an excellent place to start on our culinary journey. Croissants: Lune Croissanterie - I challenge you to find a better croissant on the planet. St. Ali’s for coffee and crazy delicious iced pink Vovo Lamingtons. Brunetti’s for a yummy lunch and to ogle the cakes and eclairs and gelato and do a bit of people watching. Prahran Market - Heaps of fantastic purveyors - don’t miss Maker + Monger for the insanely delicious grilled pimento cheese sandwiches (toasties) and The Essential Ingredient - the Aussie version of Williams-Sonoma - but better. Fiona had to drag me out of there. Movida - fantastic tapas located on Hosier Lane - perfect for a wander through one of Melbourne’s crazy graffiti alleys. Cumulus Up - warm luxurious wine bar great for small plates and catching up with old friends. And just walk: walk along the Yarra River in the evening and watch the crew teams practice. Walk through the Royal Botanic Gardens . 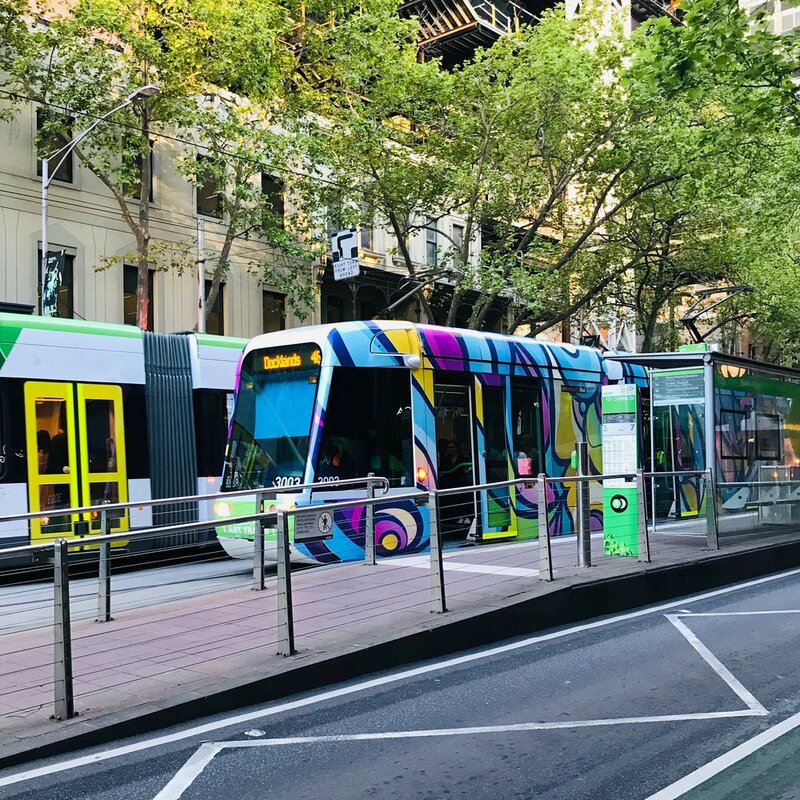 Or hop on a tram and explore the neighborhood around the South Melbourne Market. Look for the Coventry Bookshop. Or wander over to Middle Park and walk along the beach of Port Phillip Bay. This recipe only makes about 20 small cookies - you may want to double it. Whisk flour and cocoa powder in a bowl; set aside. In the bowl of a standing mixer, beat butter and sugar until fluffy. With the motor running, slowly add flour mixture until dough forms; fold in cornflakes. Using one tablespoon dough for each, roll the cookies into balls and drop cookies them onto parchment paper-lined baking sheets. Using the back of a spoon, gently flatten the cookies. Bake until set, about 12 minutes. Place the chocolate chips and heavy cream in a microwave proof bowl. Microwave on high for 30 - 40 seconds, depending on your microwave. Whisk the chocolate mixture - now ganache - until smooth.